(Newser) – At the outset of conflicts in Iraq and Afghanistan, unmanned aerial vehicles (UAVs) were little more than nifty, if sometimes helpful toys. They’ve since cemented a key role in US operations, Newsweek reports. Now hundreds of drones, some as small as model airplanes, keep an unblinking eye on militant movements, relaying images instantly to field commanders’ laptops. 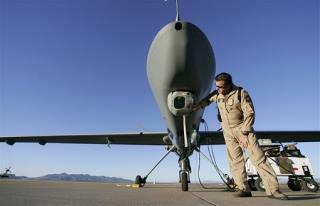 One battalion commander says 90% of his "kills" have been aided by UAVs.